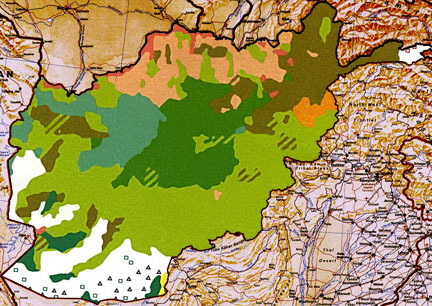 We are proud to announce that Jezail is launching the first publicly available dynamic map presentations of Afghanistan on the internet. We have spent months putting together research and artwork to show Afghanistan in a way for the public to understand the complex tapestry of the Afghan situation. This is the first of a series of QuickTime movies to help Americans understand what is going on politically and historically. At Jezail, we feel that military maps only tell part of the story. 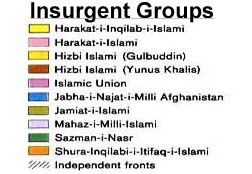 We use CIA maps, (don't worry, we verify), as well as maps from other sources around the world to illustrate an often confusing tangle of tribes ethnic groups and nationalities. Have a look at our first quicktime here. It's about 7 megs, so it may take a couple of minutes to download. 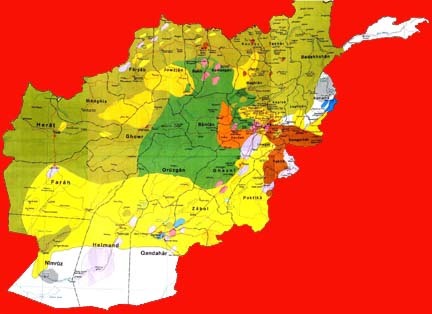 Look to Jezail in the coming months as we produce more maps and videos explaining the tangled knot of Afghanistan. *These maps are all about 5 to 10 years old. 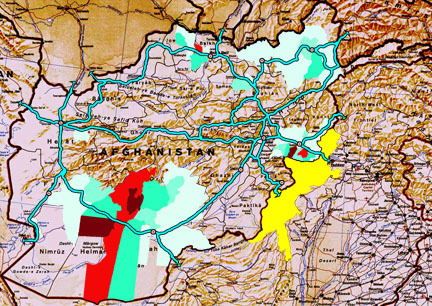 They indicate the overlap of Gulbuddin's Hezbi Islami forces with areas dominated by Pashto people. 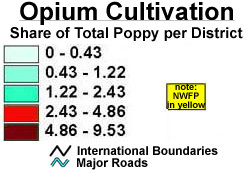 They also show that in these areas are the greatest opium-producing provinces. 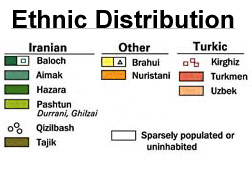 Gulbuddin was pushed out of power by the Taliban whose power base was demographically very similar if not identical.